With car restoration, bike restoration is also becoming a thing in our country. But before jumping into restoration, one must keep in mind that how arduous and time consuming this can be. From investing a lot of money, your time and patience, restoring the classic bikes don’t come easy. 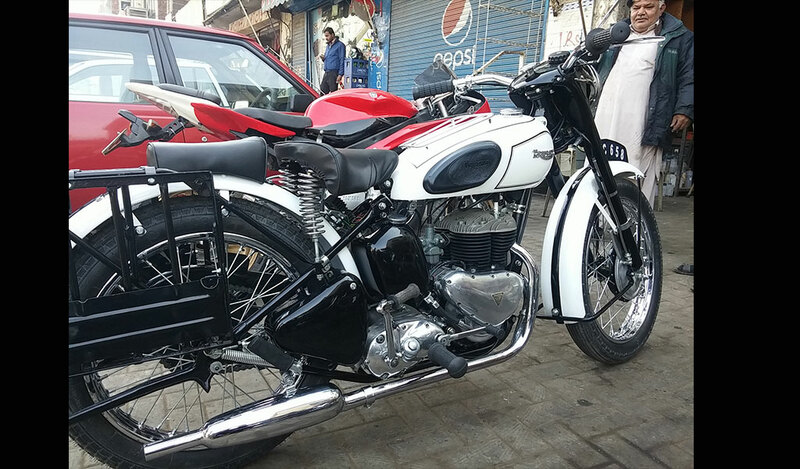 Recently, PakWheels.com has interviewed Mr. Arbab Aimal Khan, who is passionate about bikes and has recently restored his father’s Triumph 500 Street Twin 1958. PW: First off, tell us about your professional background? AAK: I am a lawyer and landlord by profession. PW: Are you a bike enthusiast? PW: Which bike have you restored? AAK: I have restored Triumph 500 Street Twin 1958, which belonged to my father. 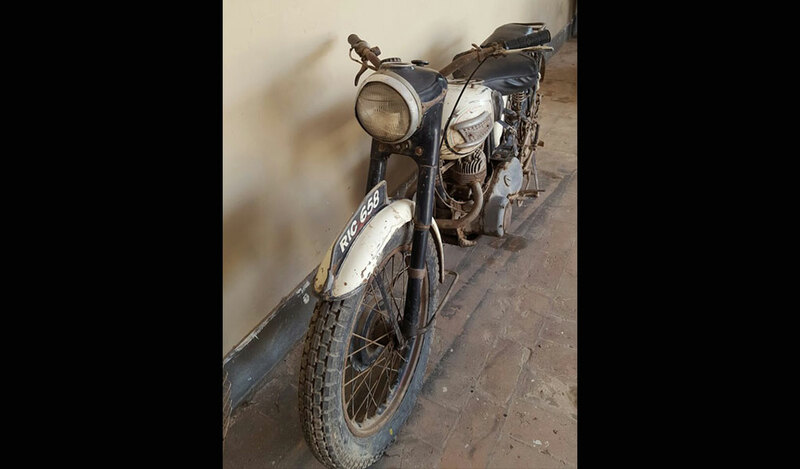 PW: How did you come up with the idea of restoring this bike? Was it out of passion? 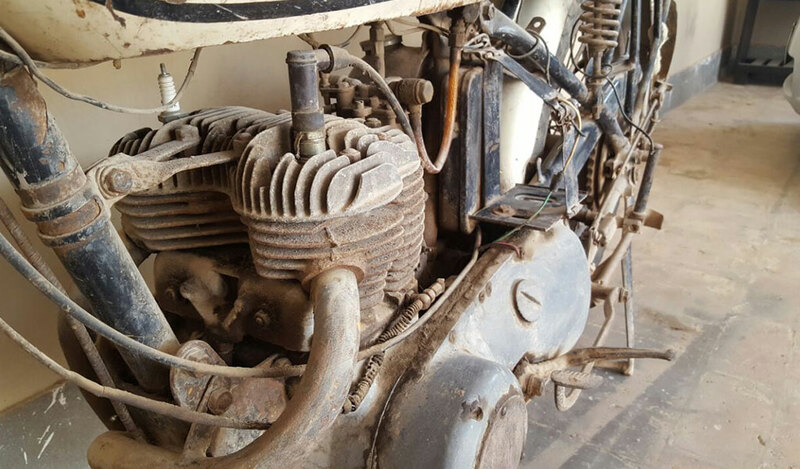 AAK: I don’t think the idea of restoration of cars and bikes is rare in Pakistan anymore. Given the increased interest of people in restorations off late, there are many people doing restorations now. We have this amazing group called the Vintage and Classic Car Club of Pakistan which is doing a wonderful job in promoting these restorations. PW: Who was your inspiration? 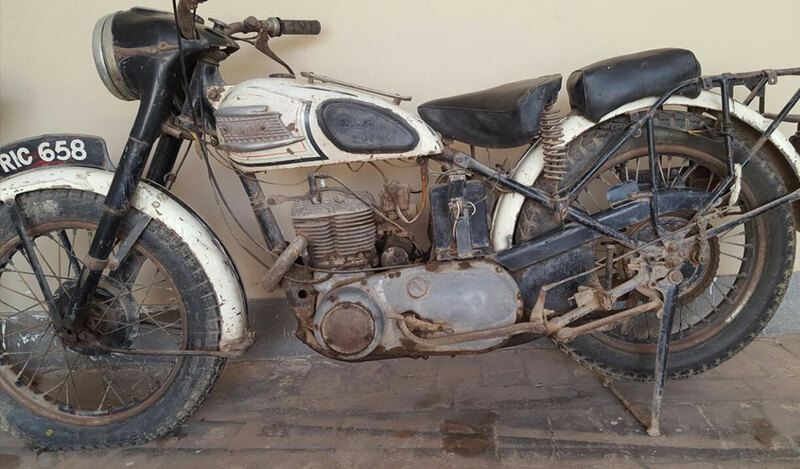 AAK: As I told, this bike was owned by my father, Arbab Jamshid Ahmed from Landi Arbab, Peshawar. I grew up hearing stories of him painting the town red on this bike in the 1960s. The bike passed on to me after his demise. I tried my best to keep it road worthy. However, due to unavailability of parts and the right mechanics, the bike could not be maintained and it was parked in our Hujrah for a long time where it gathered rust. 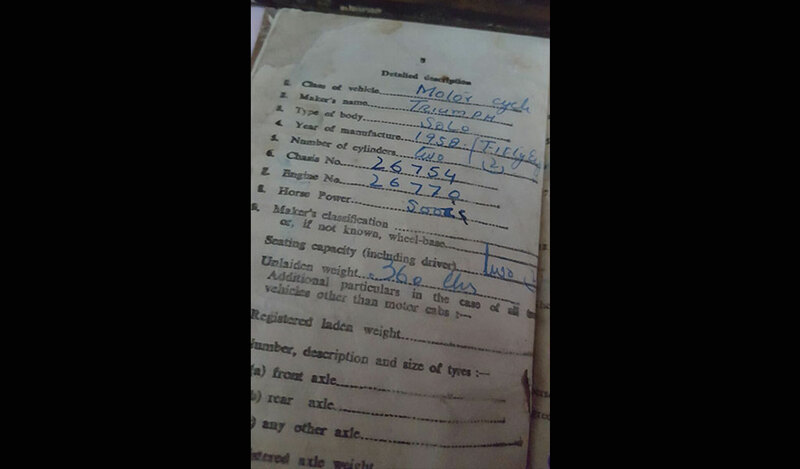 It was my dream to get it restored once I found the right mechanic and workshop. PW: How much time did it take you to complete this bike? AAK: It took about 6 months to restore the Triumph 500 Street Twin. PW: Restoring a bike is demanding. What were the complications that came your way and what kept you motivated? AAK: It’s a long and arduous process which basically requires a lot of time, patience and money. Furthermore, given the fact that these are very old machines availability of parts is the single biggest challenge to any restoration. 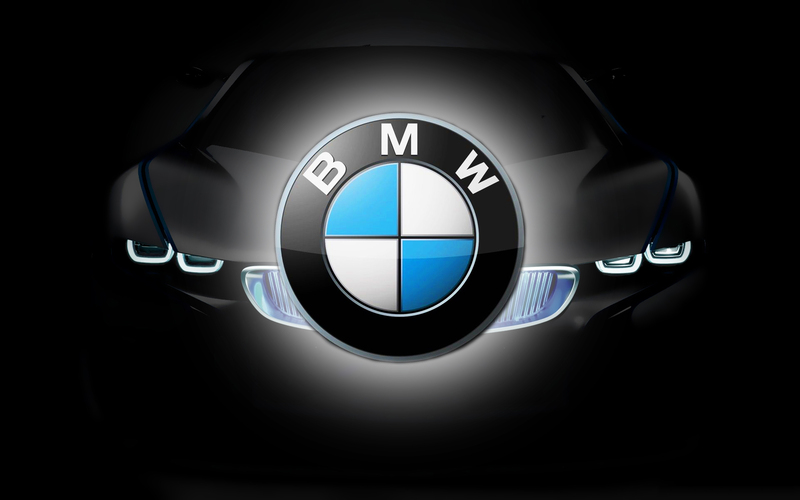 However, the end goal of the machine being restored to its former glory is all the motivation that one needs. PW: What technical difficulties you faced in restoring this bike? AAK: The technical difficulties were mainly sourcing and fabricating its parts. PW: Is there any emotional attachment to this specific bike? AAK: Yes, I have a very strong emotional attachment to the bike since it was my late father’s bike. It is like a family heirloom for me. PW: Tell us, how much did this whole procedure cost you? AAK: I haven’t kept a formal tab on the expenses/costs. But, yes, it has exceeded to what I have thought initially. PW: Who did you take help/guide from? AAK: There is this great mechanic, I would call a ’wizard’ named Haji Noor, who has a workshop off Jail Road behind Servis House. He can work miracles. With his vast experience and knowledge, he took care of the intricate details while restoring this bike. PW: Did you manufacture the parts yourself or did you buy? AAK: Well, there were some parts that we bought, but the rest were fabricated by Haji Noor. PW: What about the engine? Did you build it? AAK: The Original engine was completely overhauled. A few parts had to be fabricated, but the majority of the parts were refurbished and installed. PW: And speaking about the engine, what do you think about the performance of this bike after completion? AAK: The bike runs perfectly. 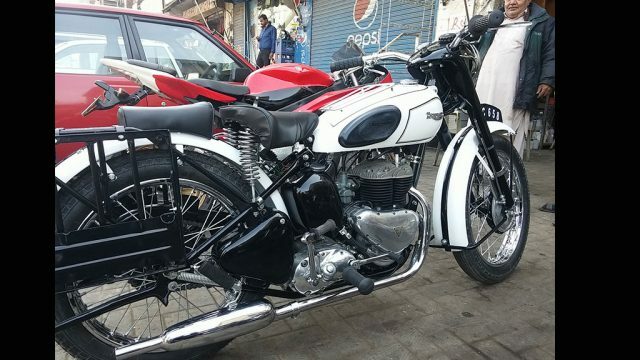 But since it’s a classic bike, we need to keep in mind that this is a classic and not a performance bike and as such one does not look for engine performance in these bikes. PW: What guidelines you’d want to share with others who are also willing to restore a bike? AAK: I think the first thing is to ask yourself if you are ready to go through the process of a restoration. You have to have the right temperament and patience threshold to go through with the process. In my experience, most people are excited about the idea of a restoration but they get easily overwhelmed with the time, patience and finances involved in the process. As I had mentioned earlier, restoration is long drawn and arduous process and it is not for the faint-hearted. So before one dives into one, one really needs to ask oneself if one has it in them to go through with the process given the amount of effort, time and money involved. Furthermore, these old machines are not trouble free even after restoration and they require constant care and maintenance and that is something that one needs to keep in mind before start working on a restoration. Having said all of that, it is a very rewarding experience and you get to learn a lot in the process. I would certainly recommend everyone to experience it once in their lifetimes. For more interesting interviews, stay tuned to PakWheels.com.